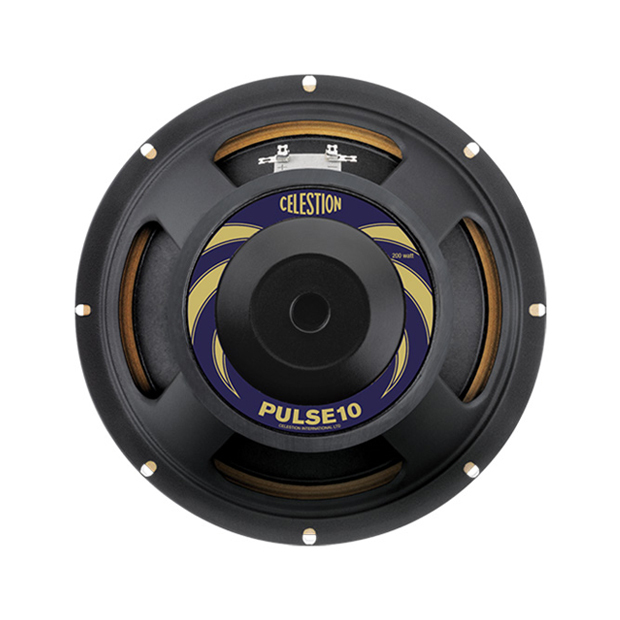 Explore the power and definition of the Celestion PULSE10 speaker at home, in the studio or live, with this 4×10 (closed) cabinet configuration. For a well-balanced tone, with and plenty of focus and articulation, the Celestion PULSE10 is tough to beat. Loaded into a 4×10 cab the PULSE10 delivers a rock-solid bass performance that you can feel as well as hear: with a firm low-end and smooth, warm midrange. Enjoy the satisfying growl as you push the speaker to its limits, courtesy of the straight-sided, Kevlar cone and triple-roll surround. This 4×10 cabinet pack contains speaker IRs for three high-quality microphones: Sennheiser MD421, Neumann U47 FET and AKG D112. Each mic has been sampled in six different positions, referred to within the files as Thin, Fat, Balanced, Bright, Dark and Dark 2. All bass impulse response files are in .WAV format for use with the majority of contemporary IR plugins and amp modelling software.